4 Bedroom Detached House For Sale in Lyme Regis for £499,950. One of these stunning new homes could be yours sooner than you think! 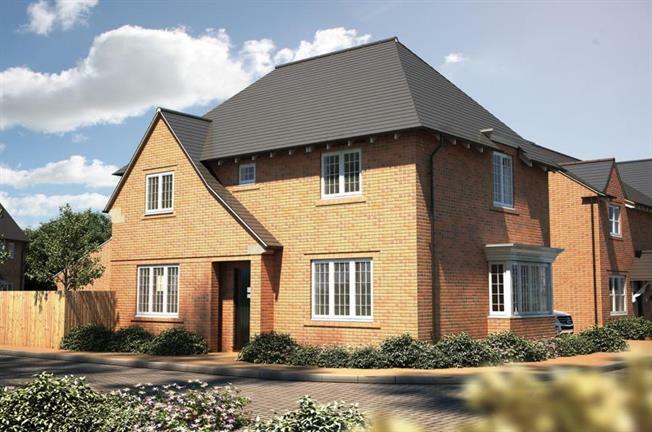 Settled in the stunning Lyme Regis, The Rainham is a superb 4 bedroom detached home. Through the entrance hall, the Rainham offers an attractive open plan kitchen / dining area, carefully crafted to suit the modern family. The kitchen is fitted with selected Symphony kitchen units and a high specification electric double oven with ceramic hob. Keep mealtimes bright and inviting with a set of French doors leading to the garden perfectly featured to the dining area. Keep your appliances tucked away in the neatly hidden utility room just off from the kitchen, featuring a handy rear door for easy access to the driveway and garage. This excellent home is complete with parking, garage and a good sized rear garden.